In my opinion, there are two things I simply cannot live without in my classroom. One of them is the act of being organized within your classroom and secondly, (probably my favorite thing, hands down) is classroom management. Without these two, I just don’t see how you can run your classroom efficiently with learning in mind. With summer right around the corner, I know you are already thinkin’ ahead (I can’t lie, I am!) and now is the perfect time to begin implementing some new strategies and tools. I’m here to specifically share the two things that I cannot live without. These two help run my classroom in a efficient, organized, and most importantly, fun manner perfect for my students and my sanity! Need some inspiration? Pin it to save! 1. 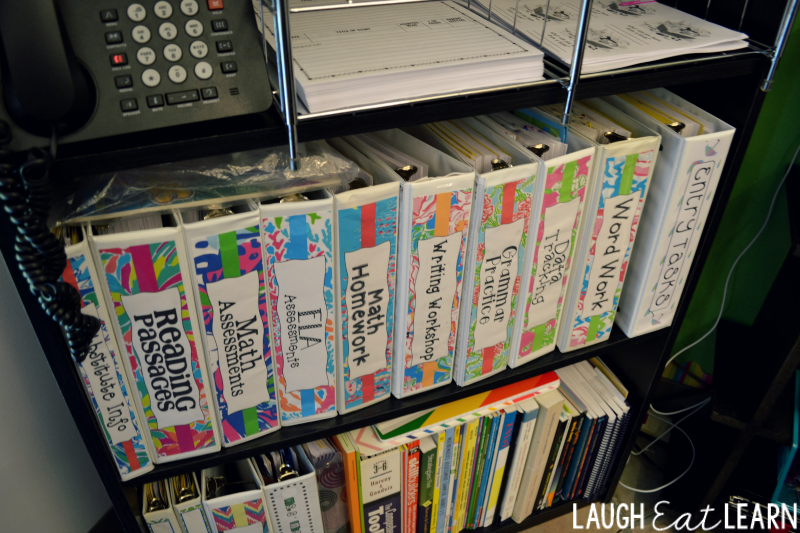 Ditch the file cabinet and organize yourself with Binders! Let me start off by saying that I absolutely love organizing! It just makes me feel happier when something is organized, has a place AND looks pretty. I’ve been staring at a shelf full of boring white binders for months, waiting for the chance to organize them. They were so boring that I didn’t even bother to snap a picture of them! With that in mind, I was sick of digging through my filing cabinet, trying to find that one worksheet or that one packet that my team mate needed. It was a hassle. Don’t even get me started about the file folders falling off the bars and causing a hot mess in the drawer. After that mess, I knew I needed to utilize a different system, a binder system. I made a list of all the binders I would need to get organized, typed them up by using my Editable Binder Sets (that now comes in many different colors and styles!) and printed them out in color. I got to work quickly and soon enough I was staring at a shelf full of binders that were nice, neat, and ready to go at any moment! Now it’s your turn to ditch the filing cabinet and boring blank binders for these beauties. These feature different patterns, prints, and styles from many different talented artist. 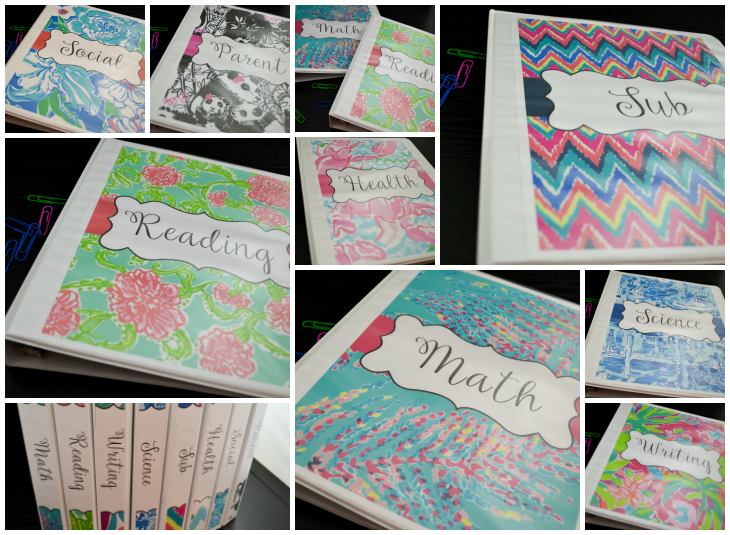 The one featured in my post is probably my favorite, Lilly’s Bright & Sassy Editable Binder Cover. 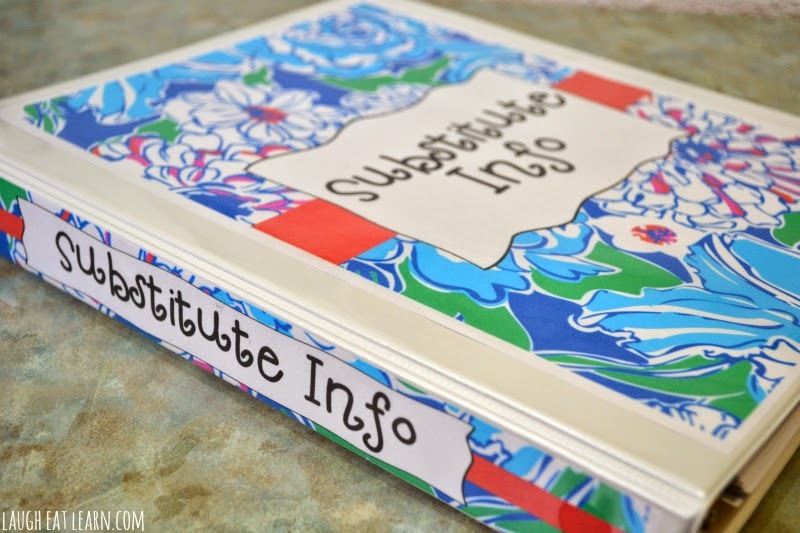 Each set comes completely editable, with directions, and printable 1.5” and 2” binder spines! 2. Drop everything and Dojo! You’ve heard of Class Dojo, right?! It’s my absolute favorite way to mange my classroom, it’s easy, fun, and most importantly, its FREE! While I was teaching Kindergarten, Class Dojo was the perfect on it’s own but I knew once I moved over to intermediate that I would need to add some “extras” to keep them hooked, engaged, and earning points! 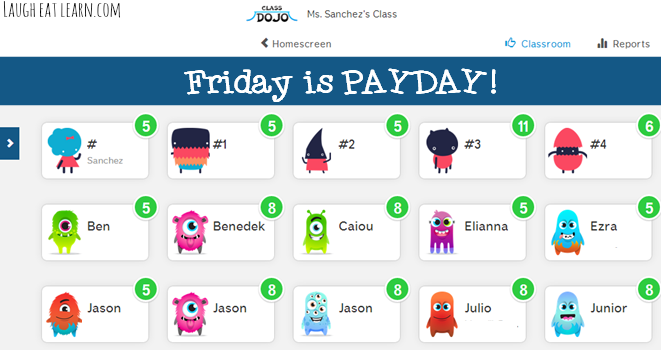 I decided the best way to hook those kids into Class Dojo is by supplementing with Dojo Dollars. These bills can be earned anytime within the classroom and especially while you were out of it. It was easy for me to throw a couple dollars in my pocket than lug my iPad around or use my cell phone (which I always felt awkward about) so Dojo Dollars was the next best thing! At the beginning of the year I send home a copy of this parent letter so I can get the parents involved as well. It makes everything easier when the parents are on board as well! Read more about how I use this letter to begin the year and grab my FREE editable Class Dojo Parent Letter. 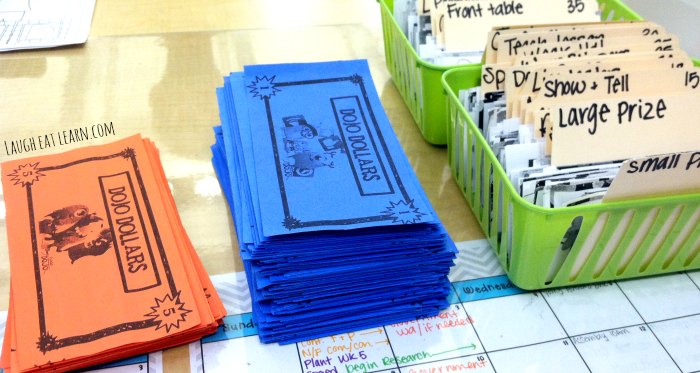 Now in the classroom, each student receives a Dojo Wallet which is printed on heavy card stock and laminated. I used my personal laminator at home, which takes a lot of sheets if you were making close to 30 like I was, but it is totally work it because they lasted ALL year long! I used the money in two ways. 1. They could earn the physical money for on the spot things. I would give the money away for groups that were ready first or students who were standing silent in line while the rest of the class was chatting away. 2. They could earn virtual money through the Class Dojo “Bank Account” for working hard in cooperative table groups, guided groups or carpet time. I would always challenge the table groups to earn their own points and by the end of the week you could cash that out as well. On Fridays was PAYDAY! I just had the app up on my desk and would pay out the students so the next week they would start at 0 again. I would have my teacher assistant deliver their “paychecks” during the end of the day while they were silent reading for a calm afternoon. 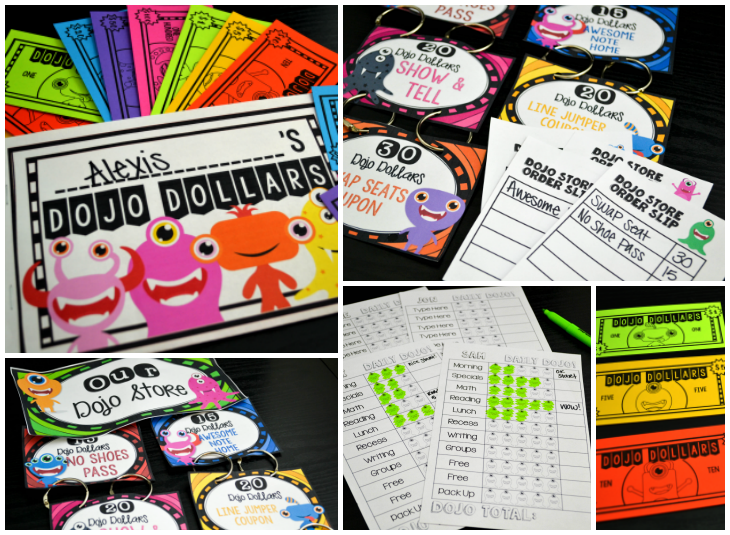 Also on Fridays I would open up my “Dojo Store” where one group (we are went off a rotation) could use their money to buy special coupons for in the classroom use. I purchased these coupons and organized them by the prices we set in the beginning of the year. None of them cost any extra money on my part which is perfect on a teacher budget! Hey there, I'm Alexis! I'm a 30 something, extremely silly, Cuban and Puerto Rican, who has a love of all things creative. I’m the owner and creator of Laugh Eat Learn, a peek into my life as a teacher, web designer, amateur chef, and pure perfectionist! When I’m not busy with ALL of the above, I’m spending time reading, swimming, catching up on Netflix, drinking tons of coffee, playing with my puppy Cuba, and watching movies with my love, Jonathan. Join the Laugh Eat Learn exclusive newsletter with the best content sent directly to your inbox! Basically, you'll get all the free and fun stuff first! I use Class Dojo in my first grade classroom as well but had never thought about using it the way you do. I would love to try this new, and more ingenious, way! 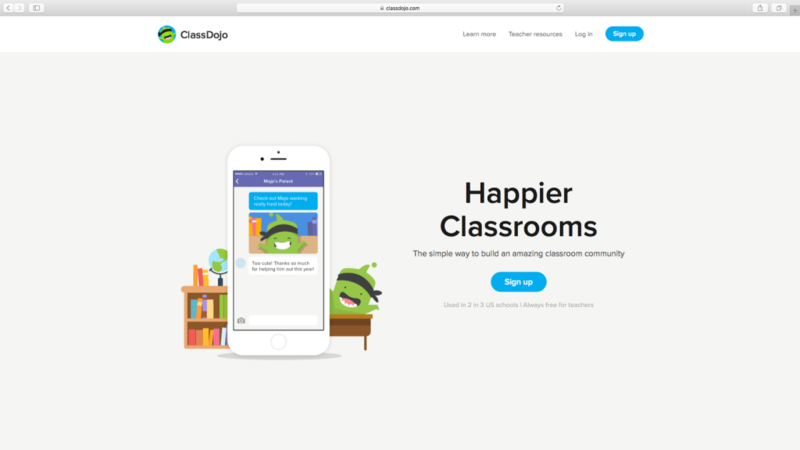 I just discovered Class Dojo a few months ago and am going to be implementing it in my classroom in the fall. I LOVED your ideas and will be incorporating some of them in my classroom! The pack would help me get a head start on my planning for the fall. I'll keep my fingers crossed! Thanks for swinging by!! I would love to use these with my students! 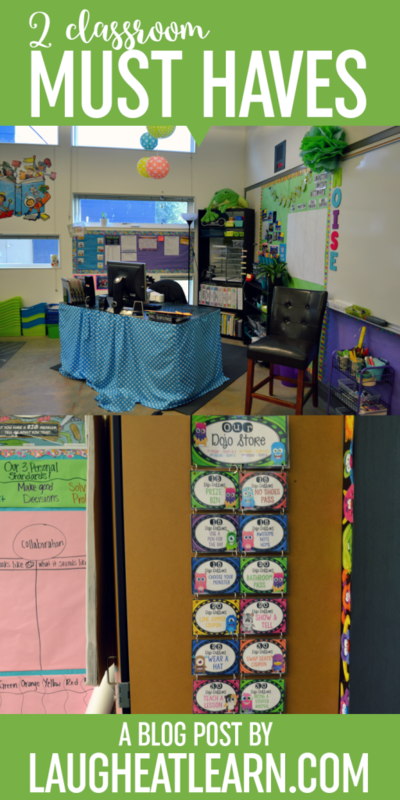 We used Class Dojo and they loved it…so I know they would love to have an extra incentive for it. 🙂 Thanks for the opportunity! What are some of the prizes the students can buy? I have a new Dojo pack going out soon with all my prizes. Most are no cost to me! Some include play a game with a friend, ipad time, small prize bin, swap seats with a friend, etc! Hi Alexis, this pack is great! I was wondering, did you print the dollars on cardstock or just regular paper? Hi Alexis! I just purchased your classdojo packet and was wondering how you use the dojo store order slip? I love the products. Thank you! Hey Jenny! Thank you so much for your support. :] I use the order slips when I start my dojo store, instead of my kids telling me what they want to buy and me totaling everything, I hand them a order slip. They go to the Rewards Chart and pick out 5 items they would want, write the price, then they go back to their seat, total and count there money. When they are called to the back table for check out, they bring the order slip and money ready to go. It just makes the process really fast! I hope this helps! How do you decide how much to give for activities and how much different coupons are valued at? I am looking to use DoJo this way with my 5th graders. This will be my first year teaching! Congrats on your first year of teaching now! :] How exciting. For the money, it really depends. I usually give a couple of bucks for day to day things but if they are doing really great (or I need to make an example) I will give out a $5 or $10. I think with the older kids, the more money you pass out will probably be the better for them to stay hooked. On average my class would have about $50-75 by the end of the month (I taught 3rd and 4th) and I would say maybe with 5th graders, if it was me, I would want the range to be closer to $100-$200. Good luck! How often do you have your Dojo store, and how do you manage it? I have used a similar system for years, but I just can’t figure out a way to do the store that doesn’t make me go crazy! Since I posted this, I did add in a order form to help manage the kiddos during checkout. They are to decide on what they want prior to coming up to the shop, jot everything down, total it up, and have their cash (or points) ready. This has helped so much with getting through the shop way quicker! If you do classroom jobs, I have had my “teacher assistant” help me with the job too. :] I hope this helps! Great ideas!!! How do you have the students combine their virtual points that they earned with the dollar points? Do you pay them dollars for the virtual points? How long does the Friday routine take? Does only one group go on a Friday? Sign up to receive a special email delivered straight to your inbox whenever there is a new blog post available to read!